In February 2018, Boffins Dan and John jet off to Qatar to perform an extra special show to over 2,300 people. 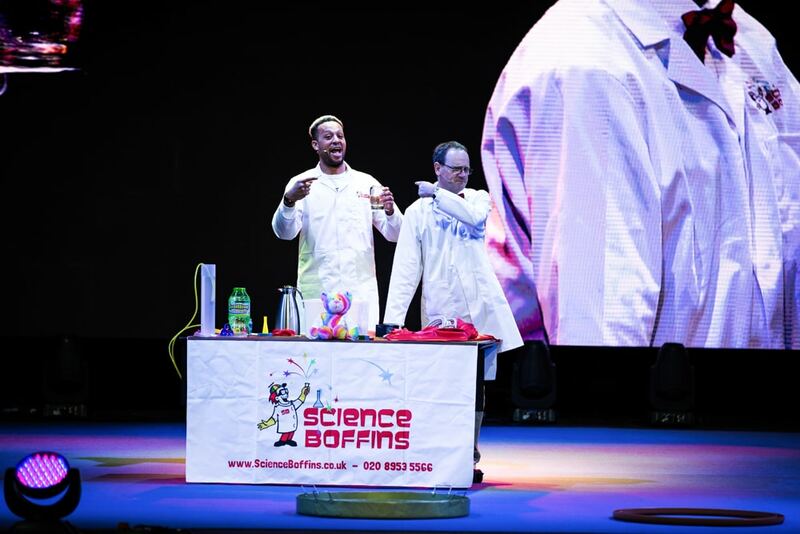 Science Boffins were invited to the land of Bubblelandia in Doha, an event which was organised and produced by Bloom Entertainment. Bubblelandia is a family friendly show packed full of fantastic demonstrations and performances including magic, juggling and, of course, bubbles. 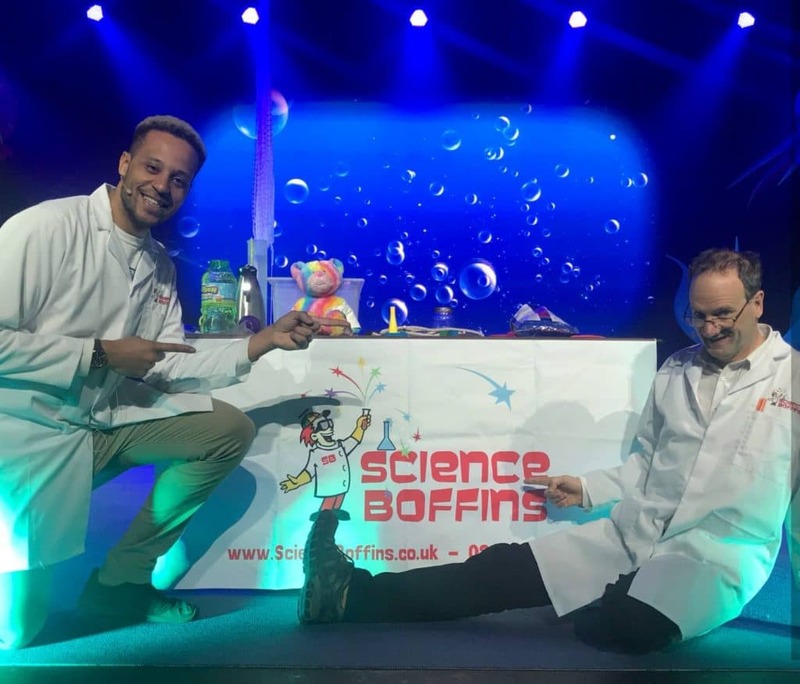 Boffins Dan and John delivered a fun stage show which entertained and amazed their (vast) audience. The demonstrations all linked to the theme of bubbles and science, all with Science Boffins’ particular blend of entertainment and performance! We were delighted to be a part of this fun event and hope to visit the Middle East again soon. 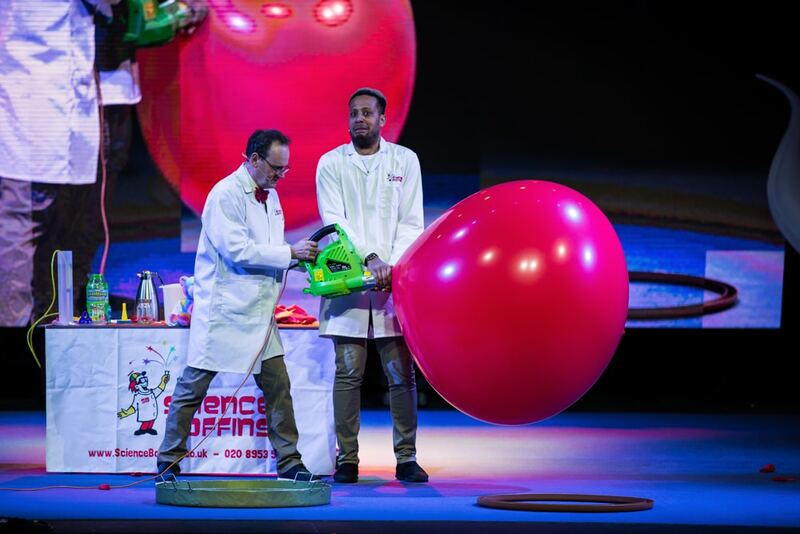 To find out more about booking Science Boffins for your family event, call us on 0800 234 3934.